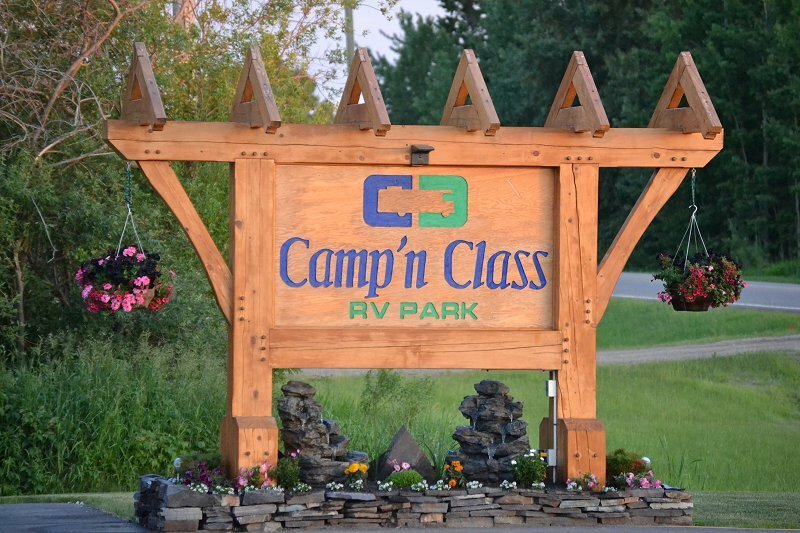 Camp 'n Class RV Park is a Good Sam park that offers a gated community with 77 spacious sites that feature picnic table, block patio, 50/30 amp power, water, sewer, basic Wifi & cable TV ALL YEAR LONG. Laundry & washrooms have 24/7 access. We accommodate BIG RIGS no problem and offer monthly, weekly and daily rates, as well as short or long term storage. Online reservations are available. Camp ‘n Class is within walking distance to playground, grocery stores, liquor stores, restaurants and shopping in downtown Stony Plain. 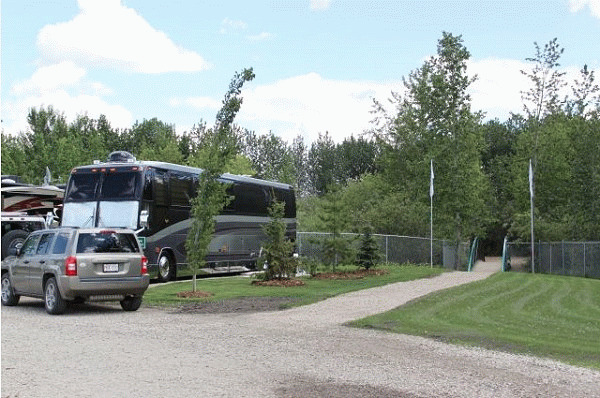 Camp ‘n Class RV Park collaborates with Grove RV & Leisure, in Spruce Grove, Alberta, to ensure your RV needs are met with due care and attention, as well as within a timely manner. 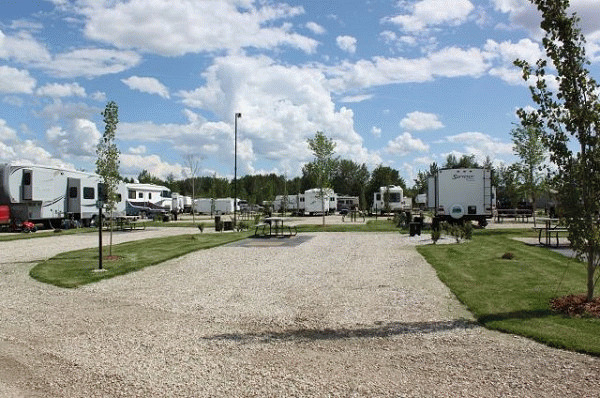 West Edmonton Mall is a mere 20 minute drive from Camp ‘n Class RV Park. New as of 2017 is our Social Hall that can accommodate up to 60 people. 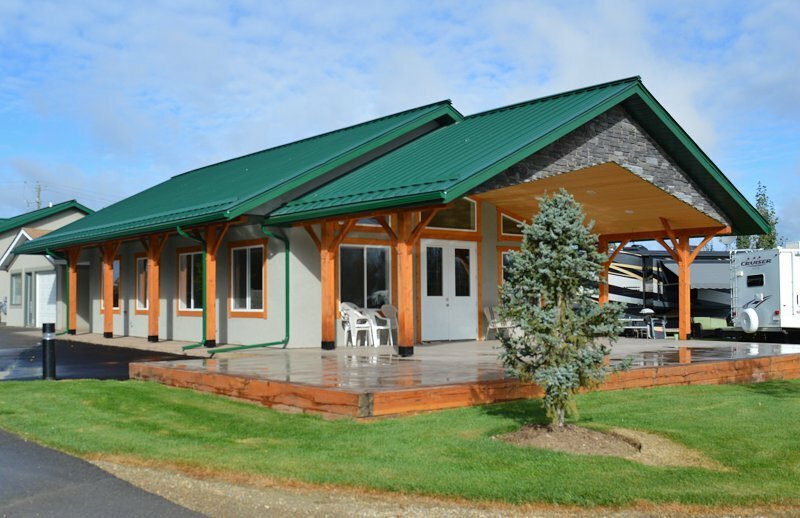 Rental information can be found on our website. Take a look at our website for true pictures of our park as well as site prices and rental information for Social Hall. 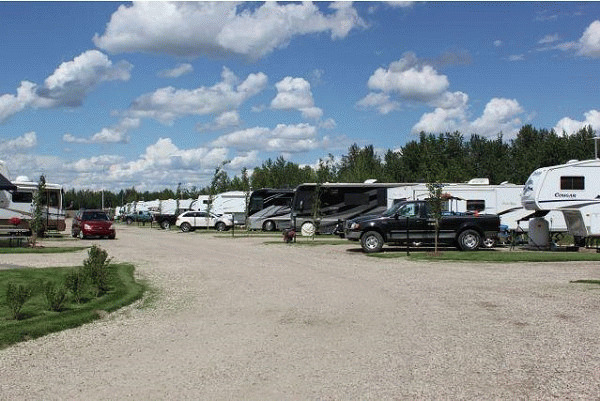 Please visit Camp 'n Class RV Park Website.